In the history of air warfare during the Second World War several times one pilot helped his companion by landing on the ground and taking a friend to his own cockpit. A good example is the history of S/L Eugeniusz “Dziubek” Horbaczewski during the battle of Normandy in 1944. However, one of the first “evacuations” in a such way had taken place a few years before, hundreds kilometers from Normandy in a place which we know as Ethiopia. Moreover, a plane that carried two pilots was Hawker Hurricane Mk.I Trop. and the airfield was in enemy’s hands. Hurricane Mk I Trop piloted by Bob Kershaw during Diredawa air raid on 15 March 1941. Artwork by Marcin Ciepierski, Arma Hobby. On the 10th June 1940 the Kingdom of Italy declared war on the United Kingdom of Great Britain and Northern Ireland (which led to war between Italy and colonies and Dominions of Great Britain). The armies of both countries struggled in Africa. In the North British forces were rather strong but in Eastern Africa (British Somaliland, Kenia and Sudan) British garrison was very weak. Italians had 300,000 soldiers (both Italian and colonial units) versus 14,000 in British colonies. Moreover, Italians had 190 aircraft in frontline units and another 134 in reserve and in maintenance units. British had several obsolete bomber planes and six Gloster Gladiators – all of them based in Sudan. In the other two territories there were no aircraft of Royal Air Force. Union of South Africa send three squadrons as a support – No.1 Fighter Squadron and Nos 11 and 12 Bomber Squadrons. Interesting fact is that it was the last campaign when both sides used biplanes for such a large scale – Reggia Aeronautica used Fiats CR.32 and 42 and the British Commonwealth forces used Gloster Gladiators and Hawker Furies. However, during the campaign British forces started receiving Hawker Hurricane Mk.I. 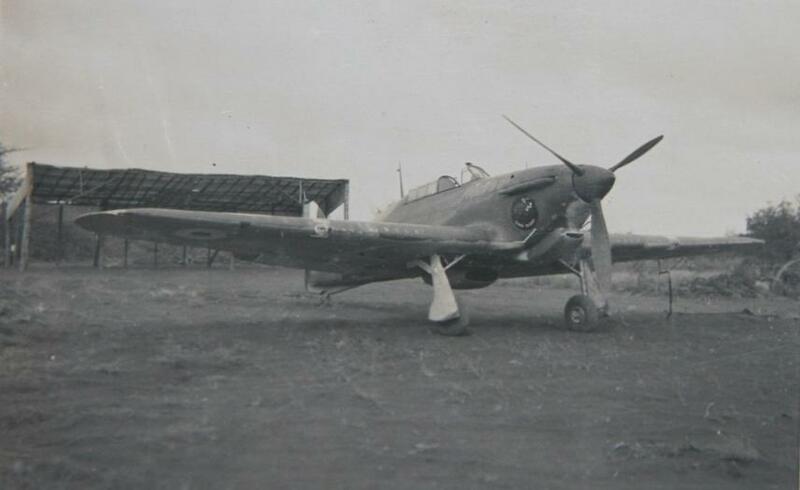 Hurricane MK I Trop from3 Dywizjonu SAAF on an airfield in East Africa 1940/41. Photo from Kershaw family collection. It is not my aim to describe in detail air and land combats – it is the history big enough to write large book. I only want to mention that after a few month campaign the British Commonwealth forces defeated Italians, liberated Ethiopia and occupied Eritrea and Italian Somaliland. Main characters are two fighter pilots of South African Air Force (SAAF) – Capt. 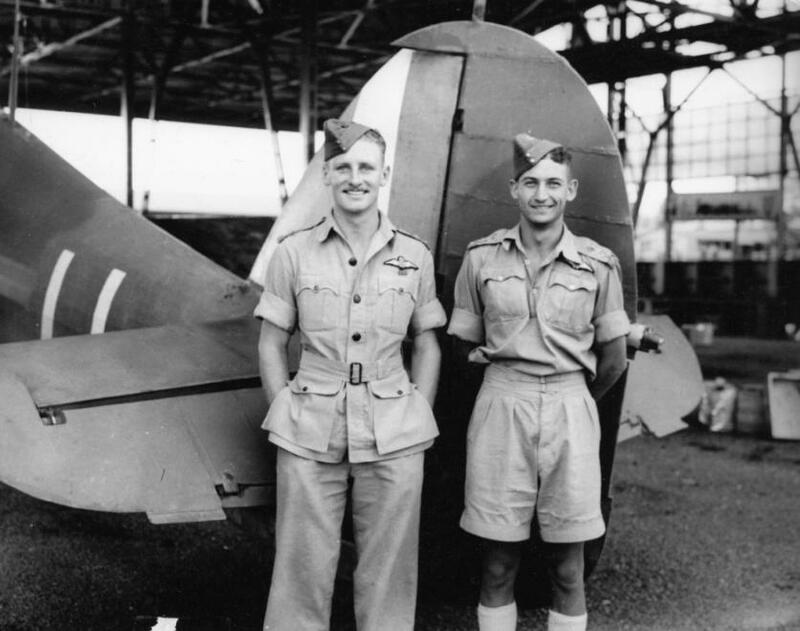 John E. Frost and 2/ Lt. Robert H. Kershaw, who served with No 3 Squadron SAAF. Capt. J. Frost joined the ranks in 1936. In 1938 he became a flying instructor in the South African Air Force Central Flying School but in 1939 orders sent him to No 1 Squadron SAAF. One year later he received another assignment – he became the commander of the ‘A” Flight of No 3 Squadron SAAF. At the beginning of 1941 the unit was moved to Kenia, where they fought against Italians. Lt. Robert Kershaw (left) ang Cpt. John Frost (right) at Hurricane Mk I. Photo fromKershaw family collection. 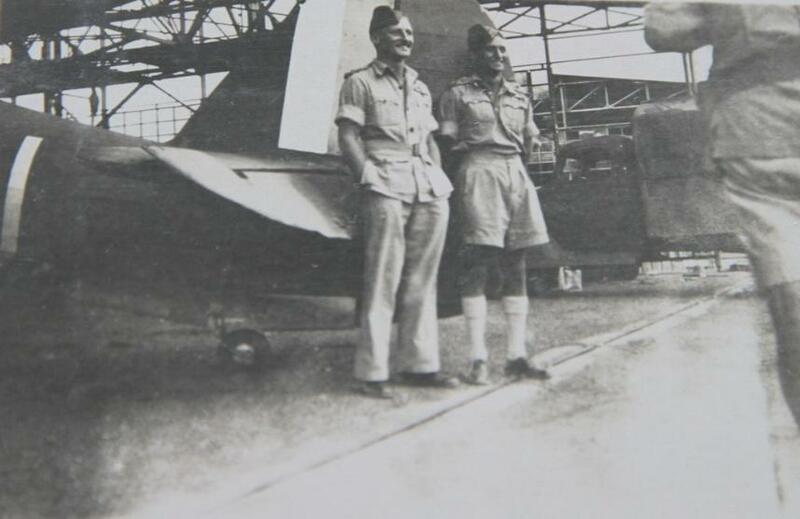 Lt Robert Kershaw joined SAAF at the beginning of 1939. He took part in the Pirow Training Scheme – a South African Army expansion program started by the South African Minister of Defense – Oswald Pirow. In 1940 he received assignment to No 3 Squadron and with fellow members of the unit he rushed to the frontline. 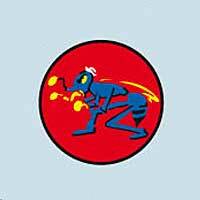 No 3 Squadron was formed on the 9th September 1940 in Waterkloof. His commander was Maj. L. A. Wilmot. On the 24th October 1940, after a month training period, the unit arrived in Kenia. The squadron had nine Hawker Hurricane Mk.I Trop. Fighters. Another seven were soon to arrive to reinforce squadron’s strength. Its sections were dispersed on the airfields between Mombasa and the border with Somalia. On the 22nd November pilots took part in the first combat mission. Three Hurricanes took off to intercept three Italian bombers Caproni Ca 133 which were attacking Bura. In the engagement Lt Allen shot down one of the enemy aircraft (five Italian airmen lost their lives and one, with severe burns on his body, was taken prisoner) and 2/Lts Glover and Kershaw severely damaged another one, which crashed in Italian Somaliland. The crew was captured by the British patrol. During the following days the squadron, individually or together with other units, fought Reggia Aeronautica or attacked ground targets. Hurricane Mk I trop from 3 Squadron SAAF . Photo fromKershaw family collection. 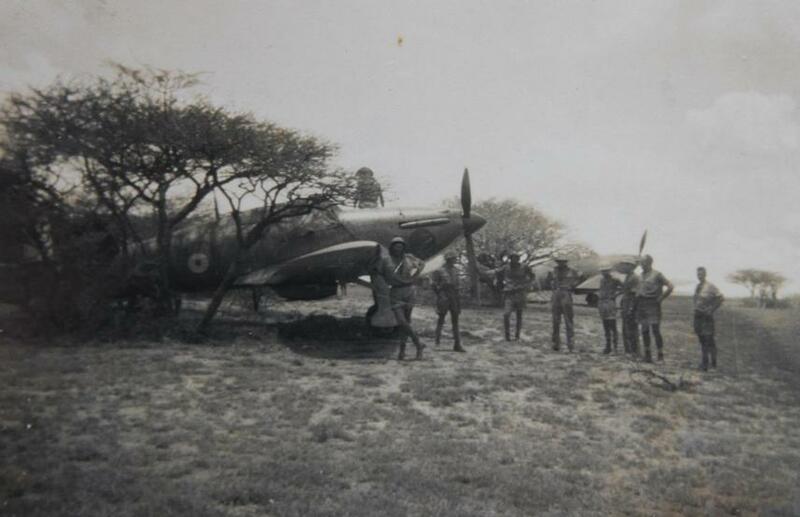 On the 15th March No 3 SAAF Squadron attacked airfields in Diredawa in North Eastern Ethiopia. Six Hurricanes attacked the main airfield at the same moment when South African Air Force Junkers Ju 86s appeared over the base. Hurricane pilots intercepted three enemy planes recognized as two Fiat CR32 and one Fiat CR42 fighters (they were three CR 32s actually). Italian pilots were preparing to attack South African Junkers when one of them, Sergente Maggiore (Sergeant Major) Giardingna noticed a Hurricane preparing to attack his plane. He made sudden turn towards the enemy and started a dogfight. It lasted a few minutes until South African pilot turned to base. Another Italian pilot, Sottotenete (Second Lieutenant) Bartolozzi, who wanted to help Giardingna, did not see another Hurricane on his tail and finished his combat with 188 bullet holes in his fighter. The third Fiat avoided any combat. Hurricane from 3 SquadronSAAF During Diredawa air raid 15 March 1941. Photo fromKershaw family collection. 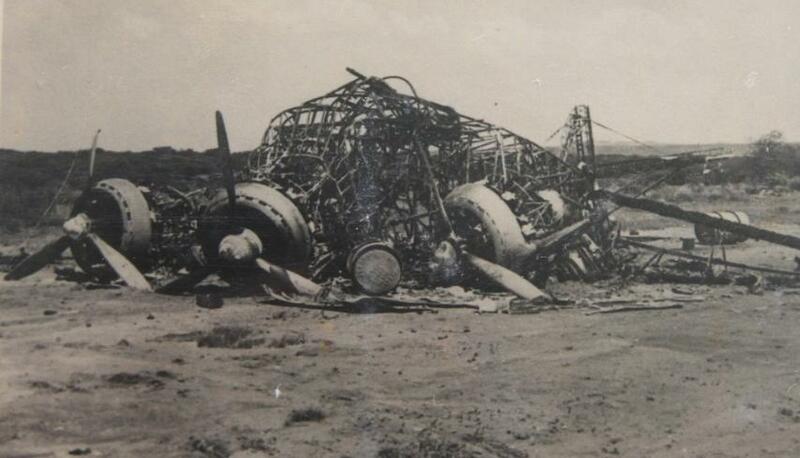 The SAAF pilots claimed three Fiats destroyed (Capt Frost and Capt Theron one each and Lts Morley and Venter one shared). Savoia Marchetti SM.79 destroyed on the ground during Deridawa air raid on 15 March 1941. Photo fromKershaw family collection. 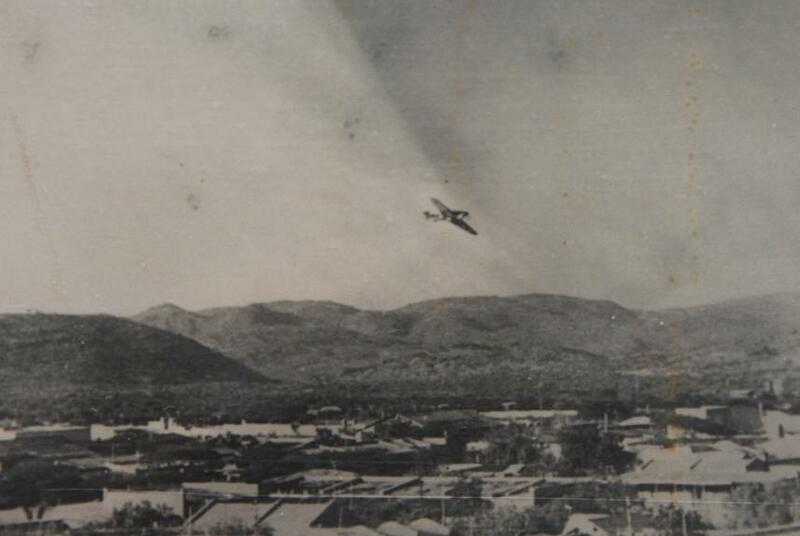 After the attack, SAAF fighters returned to their base at Dogabur to refuel and rearm. In the afternoon squadron’s Hurricanes scrambled again to attack the same target. But this time they met opposition. A mechanic of 410a Squadriglia opened fire and hit Capt Noel Harvey’s plane (Hurricane “X” s/n 294) which burst in flames and crashed against the building – the pilot died instantly. Capt Theron and Lt Morley claimed two S. 79 destroyed and one damaged. Then Capt. Frost attacked and claimed one S.79 damaged, but during that attack his plane was hit by the fire from the ground. He made a force landing at the auxiliary landing ground K92, which was in Italian hands. When 2/Lt Kershaw saw Frost’s problems he covered his landing from the air and then landed near his brother in arm’s plane. Another photo of Lt Bob Kershaw and Cpt. John Frost after return from Diredawa air raid. Photo fromKershaw family collection. When Capt Frost got out of his plane he tried to set her in flames using Very light pistol but with no success. Then he ran to Kershaw’s fighter, took of his parachute and sat on his firend’s laps. It was really incredible achievement as Hawker Hurricane cockpit does not belong to spacious places. However, they managed to take off. During the flight towards the base Frost manned throttle and a control column, Kershaw manned pedals. They soon returned to their base, although it was the longest and the most tiring 45 minutes of flight in their entire career. Frost’s aircraft was captured by Italians who tried to repair it but did not manage to do it. Eventually it was burnt during Italian retreat. Hurricane Mk I Trop z 3 dywizjonu SAAF . Photo fromKershaw family collection. During the action Capt. J. Frost flew Hurricane carrying individual letter “W” and serial number 280. 2/Lt Kershaw’s aircraft wore letter “J” and serial number 284. In No 3. squadron serial numbers had their initial letters overpainted, leaving only digits. After the action it was suggested that 2/Lt Robert Kershaw should have been given the Victoria Cross, the highest British decoration, but finally he received, as the only pilot during the campaign in East Africa, Distinguished Service Order. No. 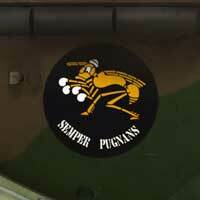 3 Squadron has adopted a Crest, consisting of a „Fighting Wasp”, with the Motto: „Semper Pugnans” – (Always Fighting), and this design has been painted on all the Aircraft of the Squadron. The design originated from an American paper, and was improved upon and submitted to the Squadron by Mr. R.C.Neill, of Parkhurst, Johannesburg. A letter of thanks has been written to Mr. Neill by Major Wilmot. After the campaign Capt Frost was promoted to Major and became the commander of No 5. SAAF fighter squadron in North Africa. At that time the squadron flew P-40s. On the 16th June 1942 Frost’s squadron escorted Boston bombers when they encountered Messerschmitts 109 of JG27. After the combat Maj. Frost went missing – his body and aircraft have never been found. Kershaw’s service was luckier. 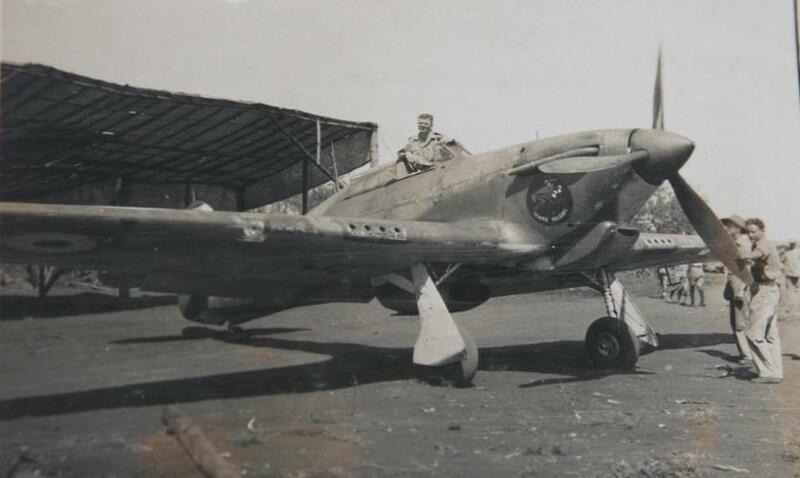 After East African campiagn he fought in North Africa as a pilot of No 1 SAAF Squadron. Then he flew combat missions over Sicily and Italy where he was promoted to Major and became the OC of No 7 SAAF squadron. In march 1945 his Spitfire was shot down by German flak and he became the prisoner of war. After the war he was the Managing Director of a large Ford Dealership . One interesting fact – Bob Kershaw effigy was printed on one of South African post stamps printed during the Second World War. 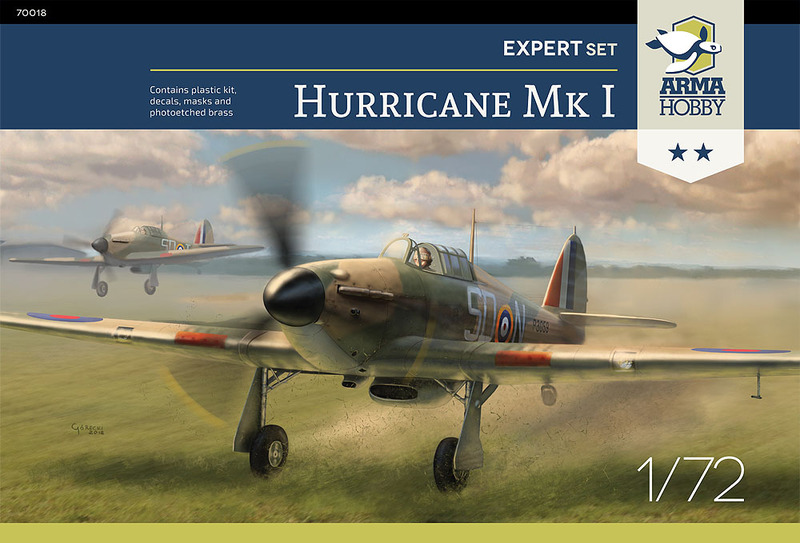 Lt Robert Kershaw markings are included in the model kit Hurricane Mk I Expert Set you find in Arma Hobby internet shop. I would like to thank Robert Kershaw’s family – his son, late Derek Frances Wyberg Kershaw, and his daughter, Ann Blitz, for preserving photos from their father’s service and for kind permission to publish them in this article. 13/10/2018 Dominik SędziakBlog, HistoryNo Comment	#70019, 1:72, Expert set, Hurricane., Hurricane.